During the early 1920s, Gertrude Stein and her brother Leo’s salon in Paris was a mecca for the modern-minded. Today, the 27 Rue De Fleurus apartment is recognized as the first museum of modern art. At that time, hundreds of movers and shakers in the Paris art world descended upon her apartment at 27 Rue de Fleurus to discuss the sibling’s impressive collection of early works by Henri Matisse, Pablo Picasso, Pierre-Auguste Renoir and Edouard Manet. Based in Singapore, The Culture Story aspires to redefine the art salon for the 21st century, a place where curious patrons, connoisseurs and enthusiasts can discover, discuss and collect new artists and their works. Art can be difficult to understand at first sight, but appreciating art is not reserved for the cultural elite. The founders started their art collecting journey in the early 1980s, with frequent business trips to London, we began exploring the galleries in Mayfair and most of our early acquisitions consisted of European paintings and English sculpture. Gradually we started looking closer to home and discovered Beijing’s 798 district in 2000, at that time 798 was a lively hip suburban art precinct without the characteristics of gentrification or commercialization. Throughout the 2000s, we gravitated towards contemporary ink painters, artists who were born in the 1960s and 1970s, who experienced the end of the Cultural Revolution and the rapid growth and modernization of China. From late 2010 onwards, we took a closer and deeper look at modern and contemporary artists from the region including Singapore, Malaysia, Indonesia and the Philippines. To date, our art journey has spanned nearly four decades, comprising paintings, sculpture, photography and prints. 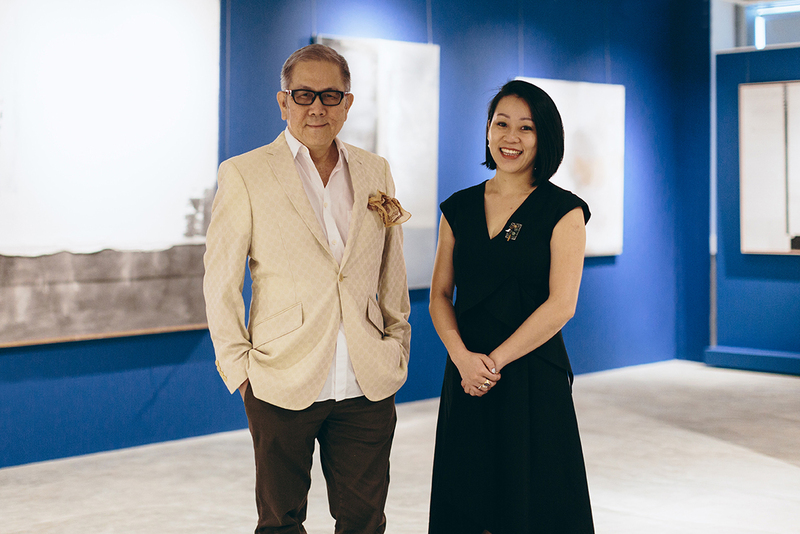 Today, the collection is jointly driven and led by the vision of Chong Huai Seng and his daughter Ning.